What is an internet merchant account used for? Home» FAQ » What is an internet merchant account used for? An internet merchant account, or online merchant account, is used for e-commerce websites to process credit card and debit card payments. Internet merchant accounts can be used both for services and products that are sold on websites. Once you sign up for an internet merchant account, you are able to completely and securely accept online payments that will then be processed and deposited into your bank account. 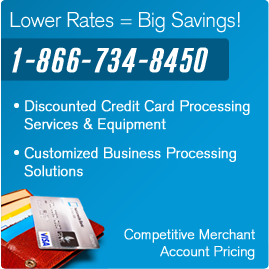 We offer the lowest priced rates on internet merchant accounts. With our low price guarantee, we will match competitor’s rates. If we can’t, we will give you $100. Call us today at 1-866-734-8450 to learn more about internet merchant accounts, a popular type of virtual merchant account. How Does a Virtual Merchant Account Work? What is a Virtual Merchant? Virtual Merchant Pro is a proud partner of Merchant Warehouse, established in 1998. Merchant Warehouse is an industry leader in merchant account and credit card processing with over 100,000 satisfied clients. Call us at 1-866-734-8450 for free account set-up and to learn more about setting up a merchant account and accepting credit cards.